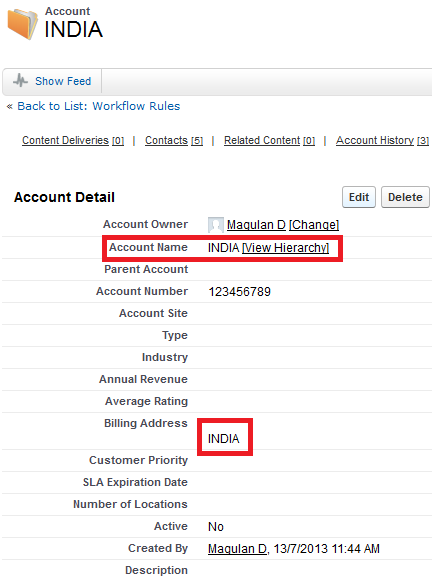 How to get Account's State, City, Country fields in Visualforce page? 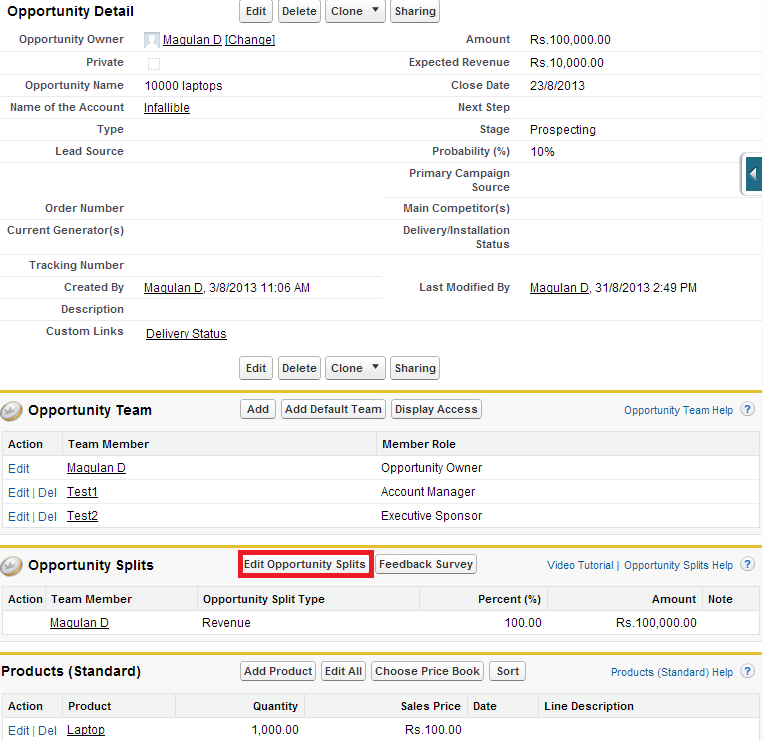 How to track more than 20 fields values in Salesforce? Write a tirgger and create a Chatter feed. here flag is an Apex variable. 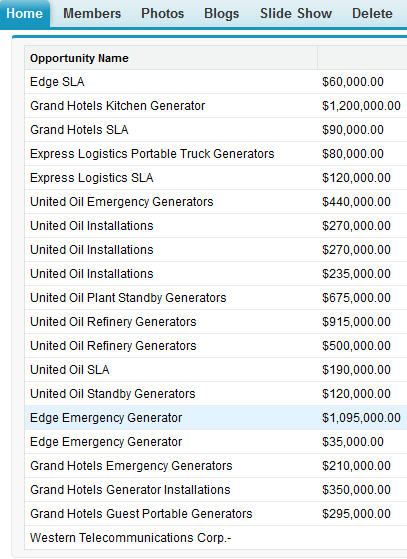 How to store value checked by checkbox ( on the VF page ) in the database with controller? 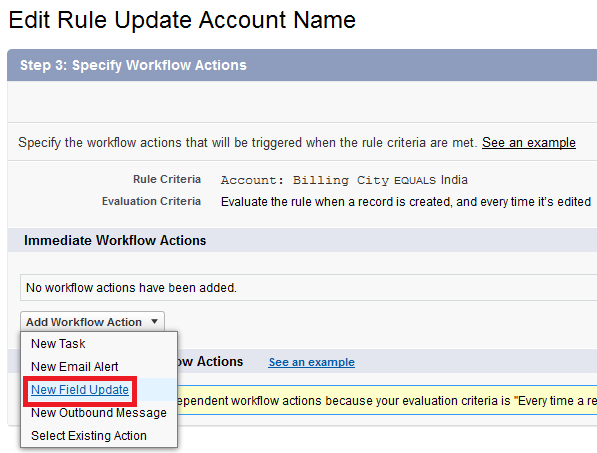 How to give SOQL limit size dynamically for retrieving records using Apex in Salesforce? To open the URL in new Tab for PageReference, kindly use <apex:commandLink/>. 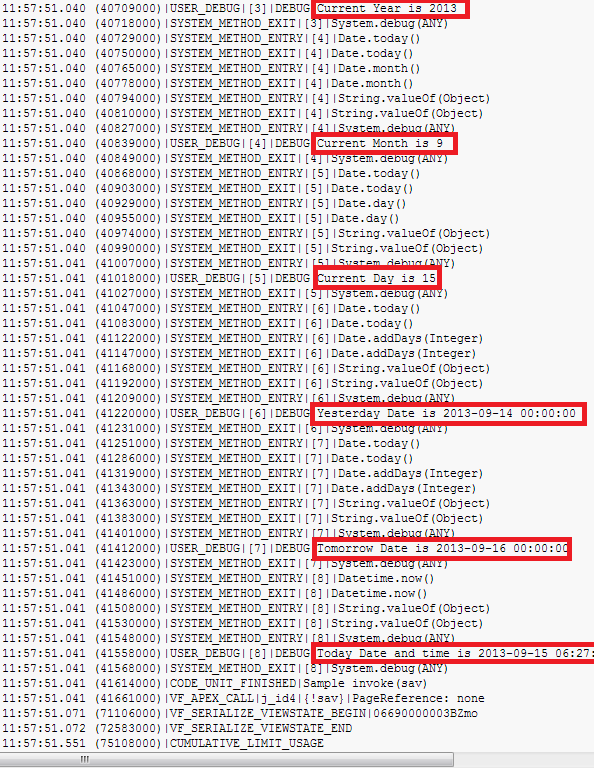 The Force.com Migration Tool is a Java/Ant-based command-line utility for moving metadata between a local directory and a Salesforce organization. 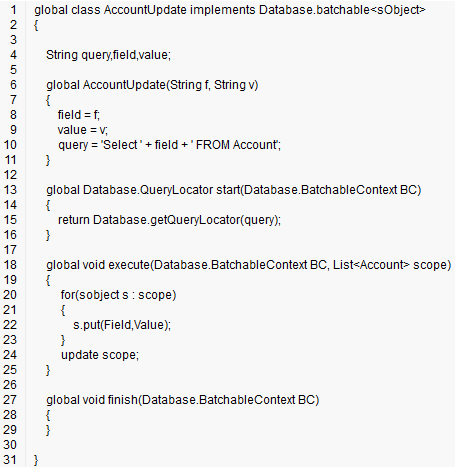 How to write test class for Database.QueryLocator in Batch Apex? How to display current date and time in a field using formula field? 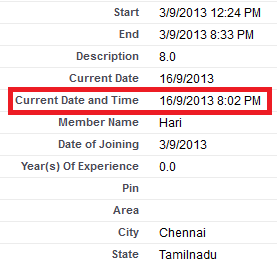 Now() is used to display current date and time in a field using formula field. How to display current date in a field using formula field? 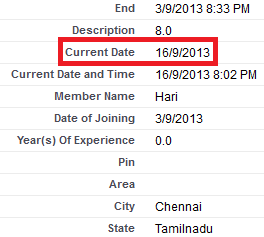 Today() is used to display current date in a field using formula field. 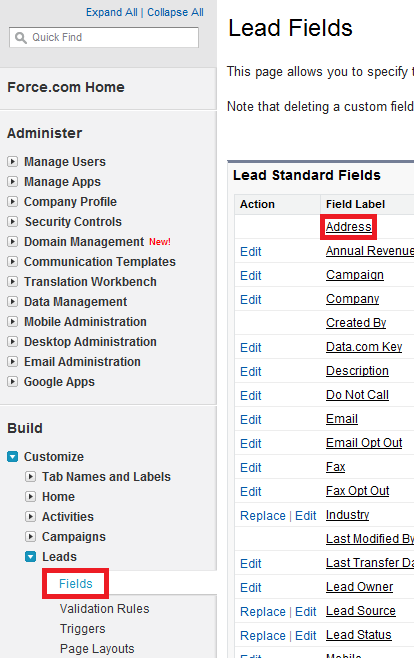 How to check whether a list is empty or not in Visualforce page in Salesforce? 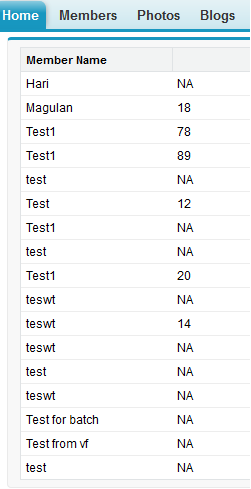 here PGList is a list variable. 1. Go to Setup --> Build --> Customize --> Search --> Search Settings. 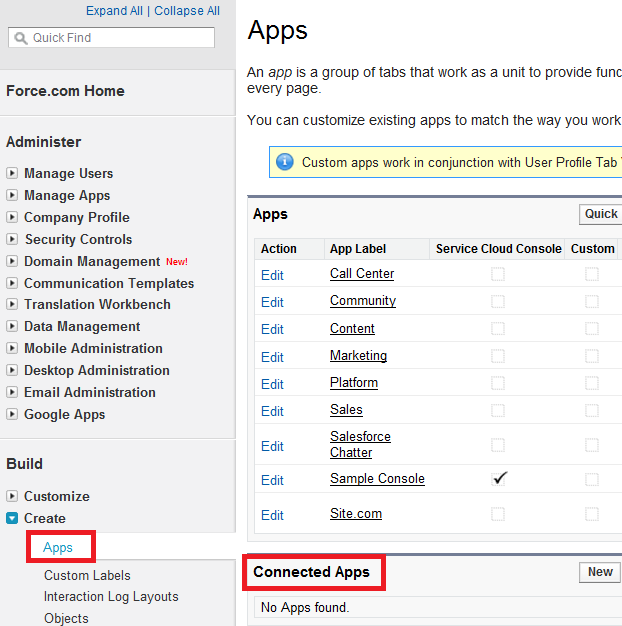 A "Connected App" is an application that can connect to salesforce.com over Identity and Data APIs. Connected Apps use the standard OAuth 2.0 protocol to authenticate, provide Single Sign-On, and acquire access tokens for use with Salesforce APIs. In addition to the standard OAuth capabilities supported by the existing Remote Apps feature (which Connected Apps is designed to replace), Connected Apps add additional levels of control, allowing administrators explicit control over who can use the application, and various security policies to be enforced by the application. 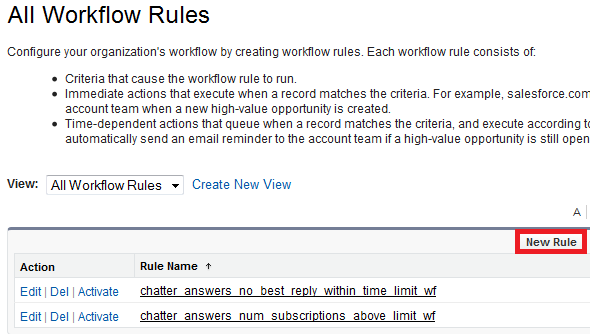 To view the list of connected Apps in your organization, go to Setup --> Build --> Create --> Apps --> Connected Apps. 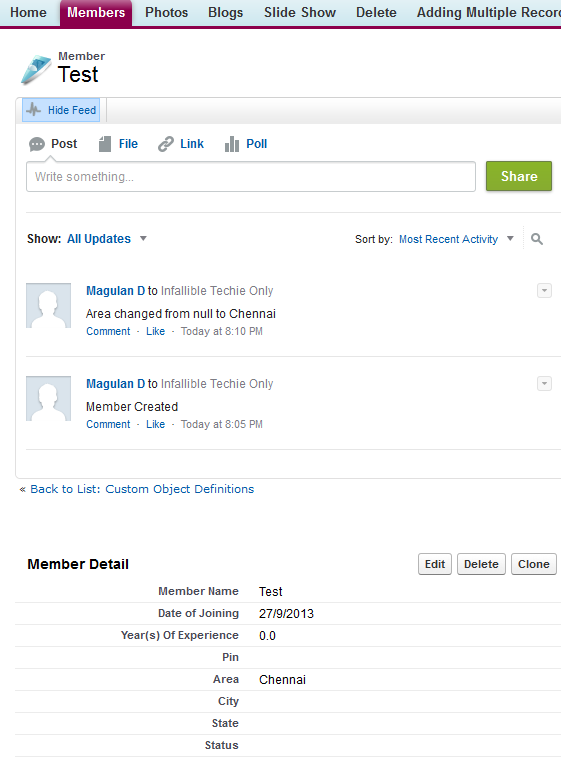 How to get all Public Groups using Apex in Salesforce? 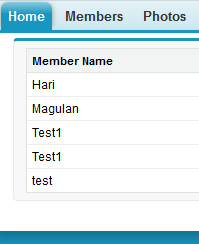 How to check whether a field value in visualforce page is blank or null? 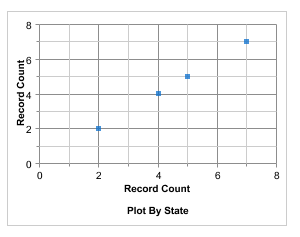 Plot two numerical summaries against one another to visualize the correlation between values for a particular grouping on a report. 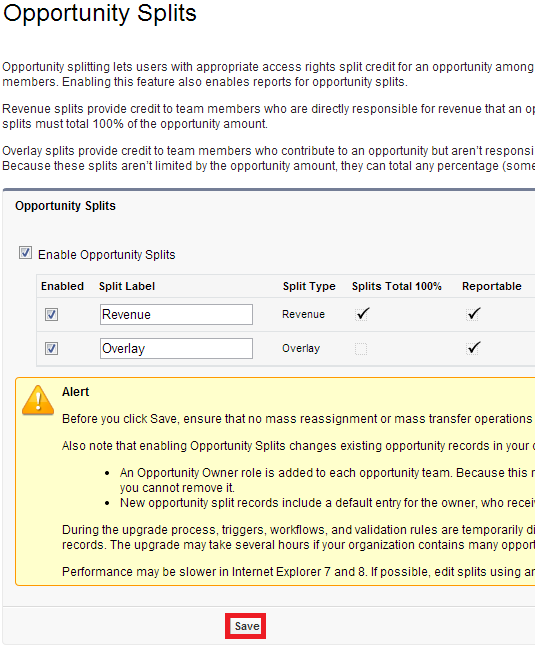 Use scatter charts to show meaningful information using one or two groups of report data plus summaries. Unmanaged packages are typically used to distribute open-source projects or application templates to provide developers with the basic building blocks for an application. Managed packages are typically used by salesforce.com partners to distribute and sell applications to customers. Once the components are installed from an unmanaged package, the components can be edited in the organization they are installed in. Once the components are installed from a managed package, the components cannot be edited in the organization they are installed in. 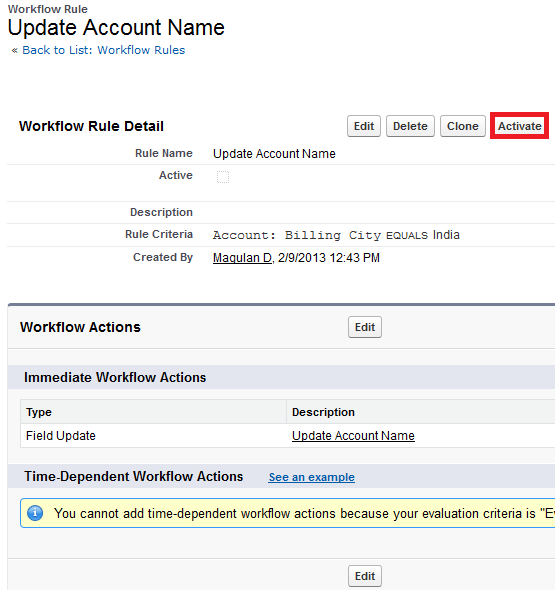 How to avoid Time Zone issue in Apex in Salesforce? 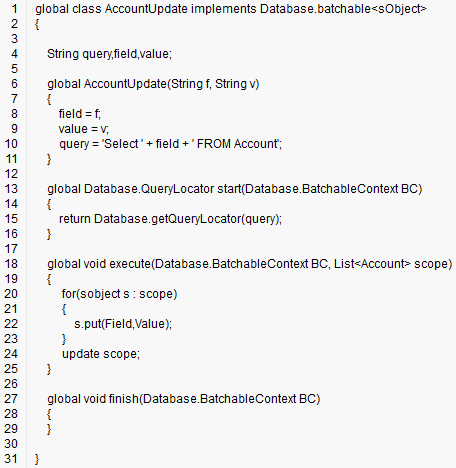 UserInfo.getUserId() is used to get the current User ID in an Apex class. 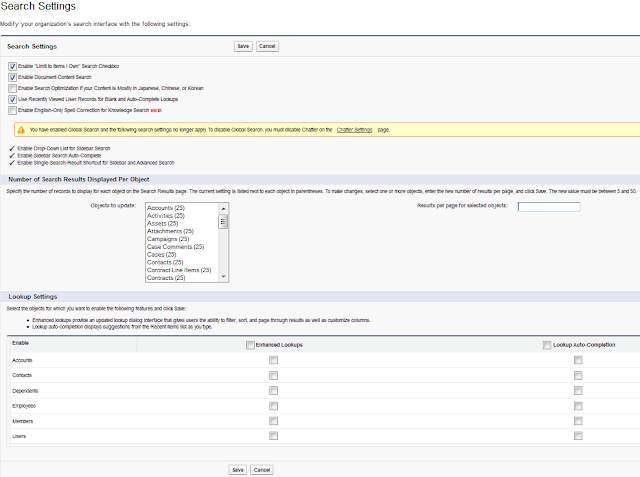 Constructs a DateTime from the specified date and time in the GMT time zone. 1. 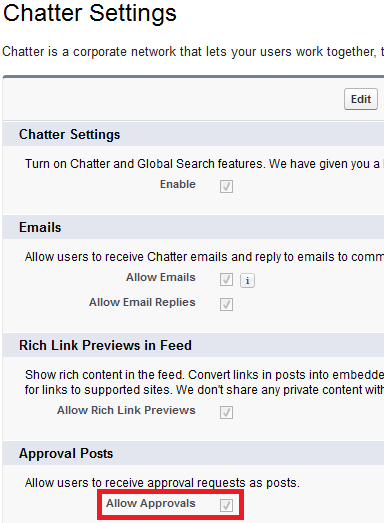 Go to Setup --> Build --> Customize --> Chatter --> Settings. 2. 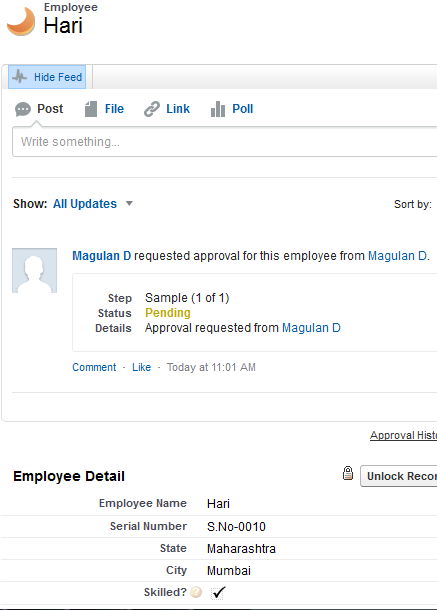 Check whether Allow Approvals check box under Approval Posts is checked. 3. 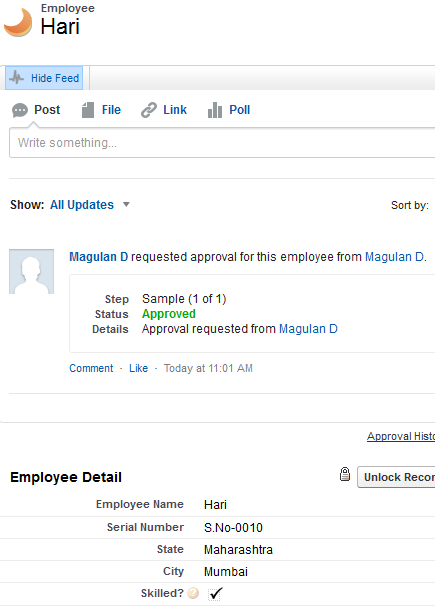 Go to Home page by clicking "Home" tab and view the post to Approve/Reject. 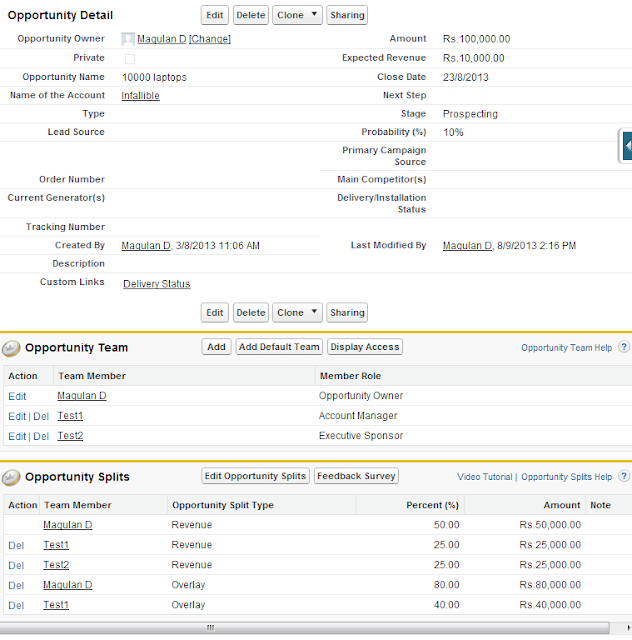 How to calculate hour ranges using apex in Salesforce? How to find difference between time in Salesforce? 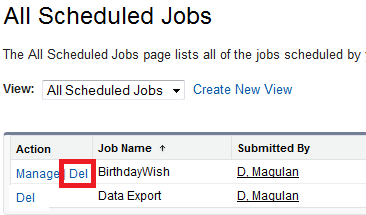 How to delete scheduled Batch Class in Salesforce? 1. 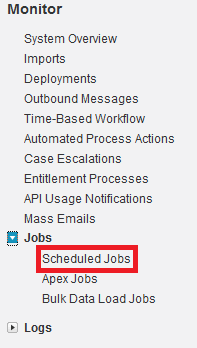 Go to Monitor --> Jobs --> Scheduled Jobs. 2. 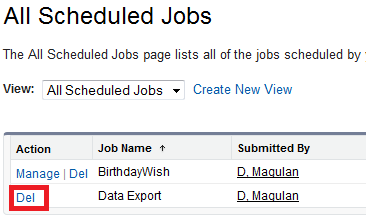 Delete the appropriate scheduled job. 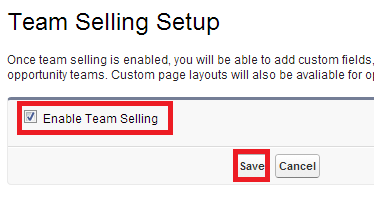 How to delete scheduled Data Export in Salesforce? 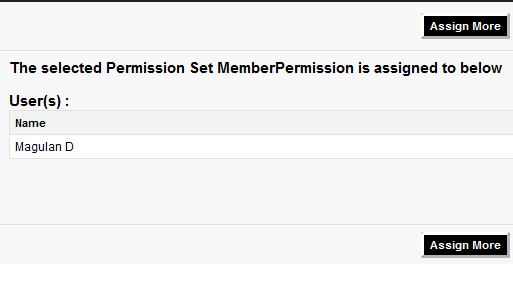 In the user profile, kindly select "API Enabled" check box. 1. 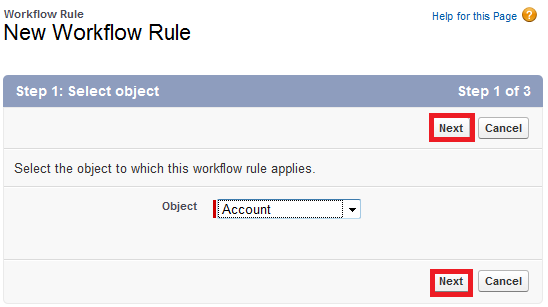 Go to Setup --> Build --> Create --> Workflows and Approval Process --> Workflow Rules. 3. Select Object and click "Next" button. 4. 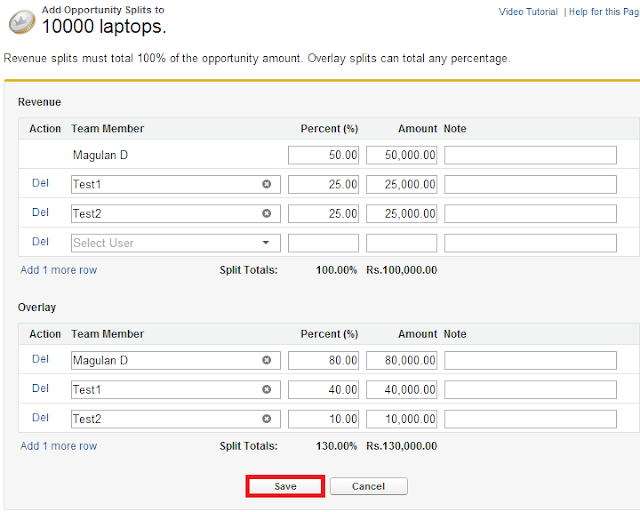 Enter Name, Evaluation Criteria and Rule criteria. 5. 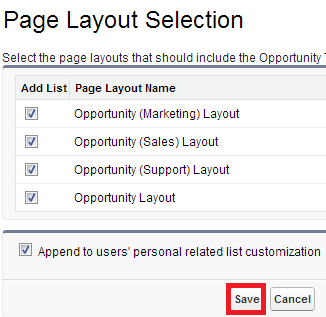 Click "Save and New". 6. 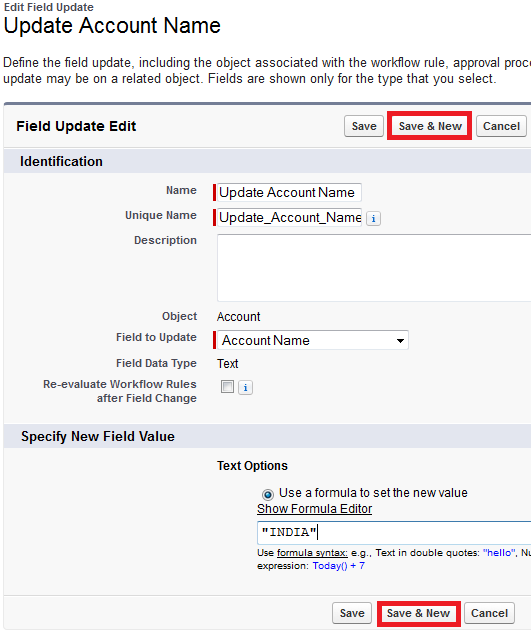 Click "New Field Update". 7. Enter Name, Description, Field to update and value to be updated. 8. 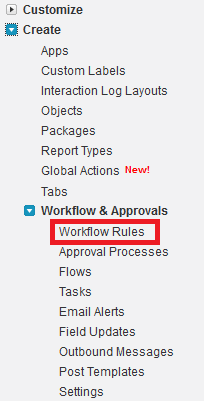 Activate the Workflow Rule.